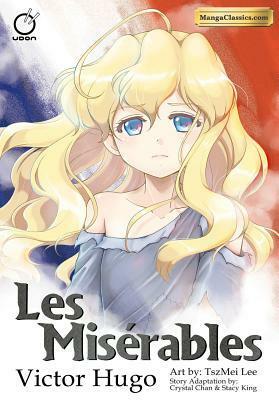 Les Miserables has been turned into a manga, the book is entertaining and fun. Because it's a manga it will read backwards, so I know a lot of people will not like. The illustrations are in typical manga style, big expressive eyes and long flowing hair. The story is told a PG-13 so it's not too graphic or anything. Definitely worth checking out.